A rusted padlock is often a catalyst for frustration. 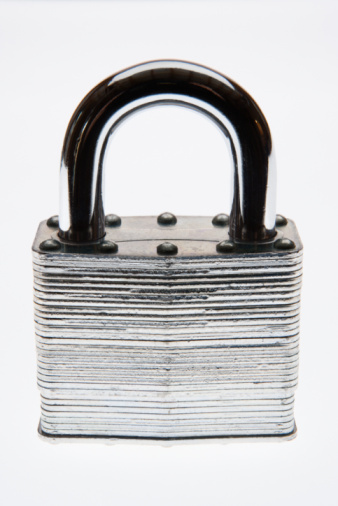 Many locks, especially older ones, don't handle exposure to the elements or moisture well over time. Interior mechanisms will corrode and seize to the point that the bearings will not release the spring and the shackle. 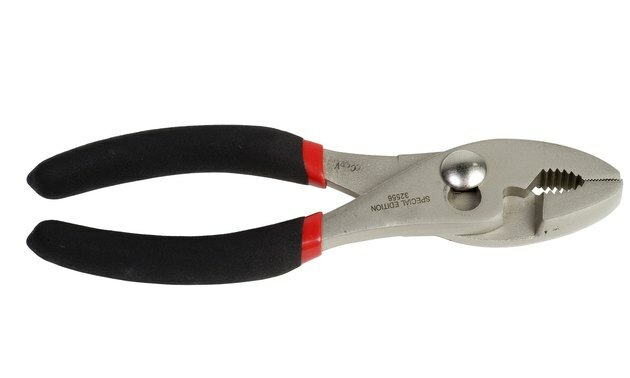 Cutting the lock off is always an option, but if you want to retain the lock or if cutting the lock would damage whatever it is connected to, you may have no choice but to try to work it free. Wipe any debris off the lock. If possible, place it somewhere out of the elements so it will be dry. Take a piece of medium-grit sandpaper and lightly buff the lock to remove excess rust. Spray lubricant into the two shackle holes and into the key hole. Coat the interior thoroughly. Use a small or light-duty hammer to give the lock a few mild blows. This may be enough to break the rust seal. Try to strike it at the top of the lock near the shackle holes. Use the handle to strike at the curved shackle and the key opening. Place the key in the lock and try to turn it. If there is resistance, wiggle it back and forth a few times, using a little more force each time. Be careful not to break off the key. If possible, place the lock in a vise and use pliers to pull on the loop while turning the key. Repeat these steps if they are unsuccessful. Sometimes, letting the lubricant seep into the lock and work on the frozen bearings will help. If the lock still refuses to break free, it may be necessary to use a Dremel, hacksaw or bolt cutters to open it.